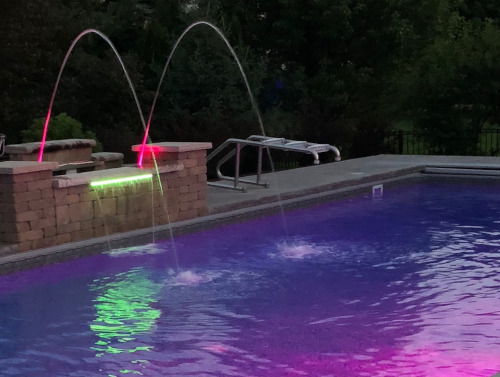 Here are a few samples of the pool waterfalls, water features, deck jets and fiber optics you can add to your inground swimming poolfrom Swim Shack Inc.
Add a touch of elegance to your new swimming pool with a waterfall! 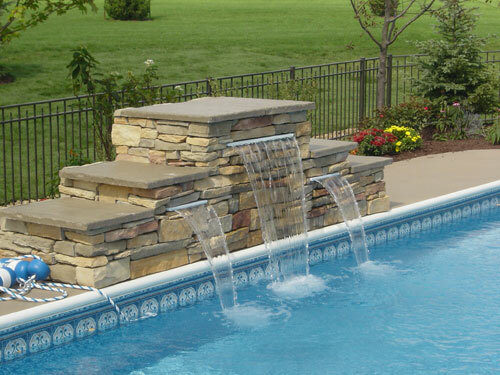 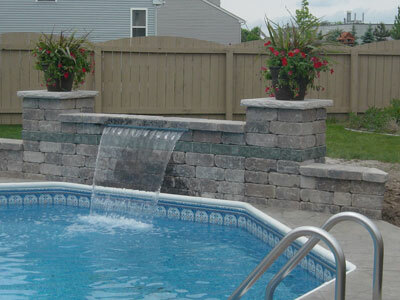 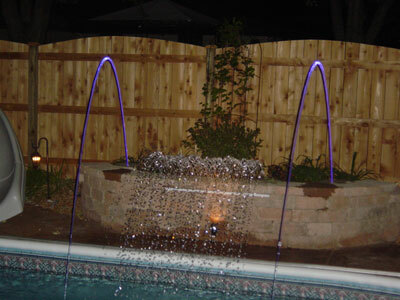 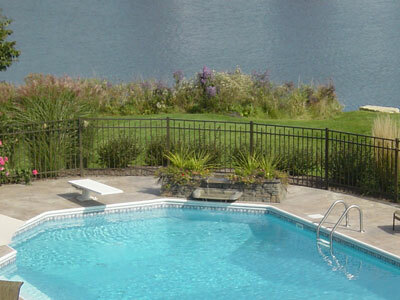 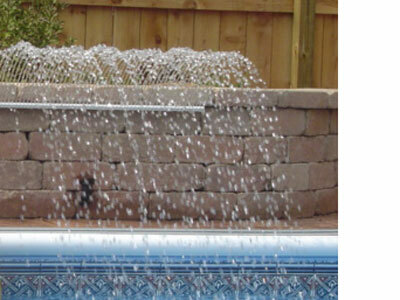 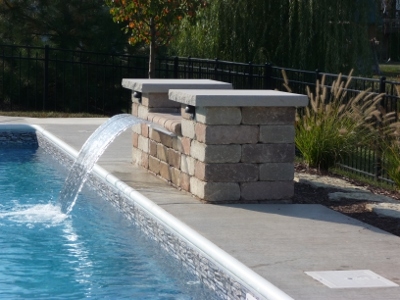 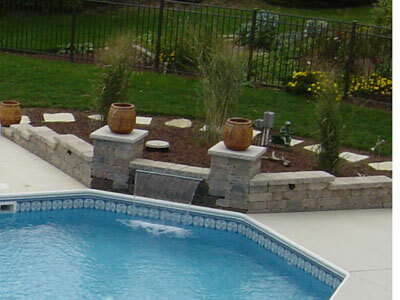 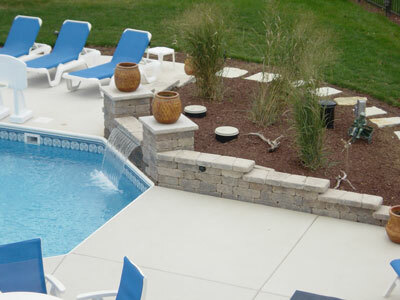 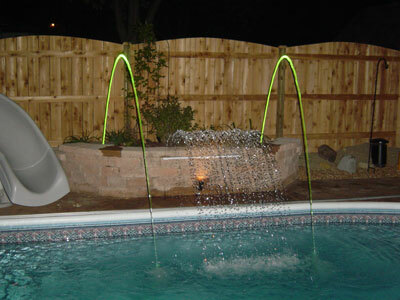 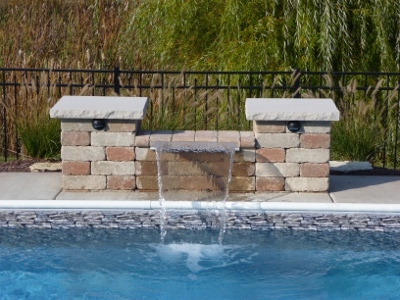 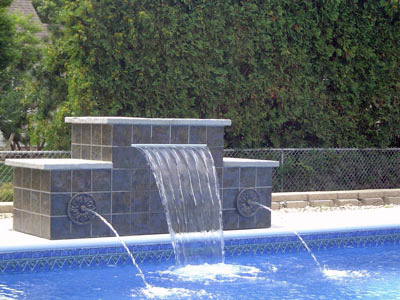 Pool waterfalls, water spouts and special water features come in many sizes and styles to achieve the effect you desire. 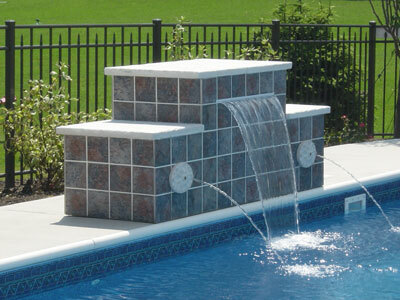 You can decide on the look you want, choosing from many different tiles and grout colors, stone or masonry styles. 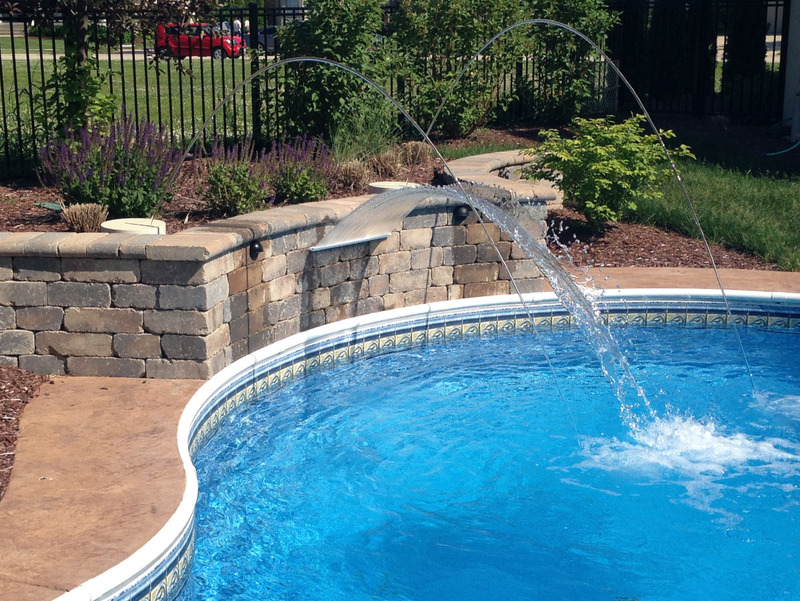 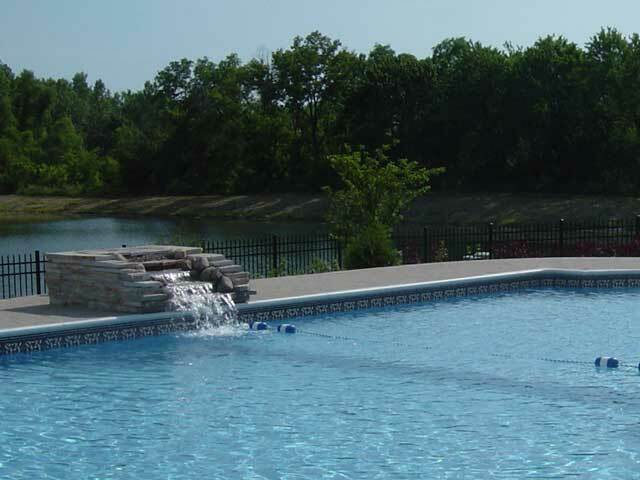 Call Swim Shack today to find out how to incorporate pool water features in to your in ground swimming pool - (630) 466-4853 .